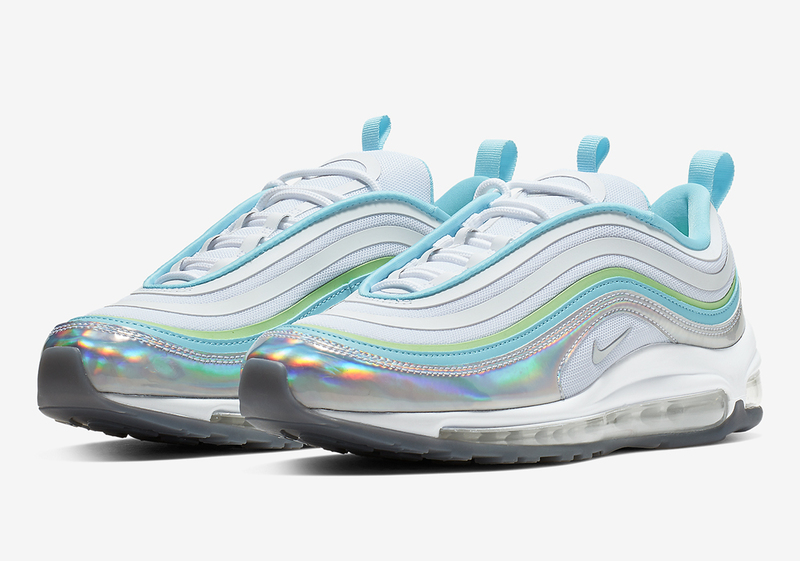 In recent weeks, we have seen the Air Max 97 rolled out in a number of head-turning color schemes with a few iridescent treatments added to its speed bullet train-inspired upper. 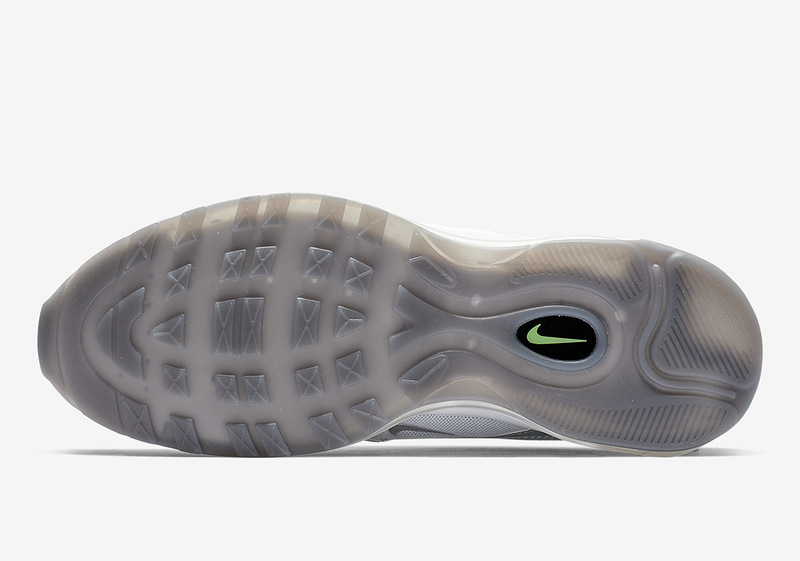 Set to join those ranks next is another shimmering rendition of one of Beaverton’s most admired offerings that comes anchored by a glowing metallic silver mudguard. 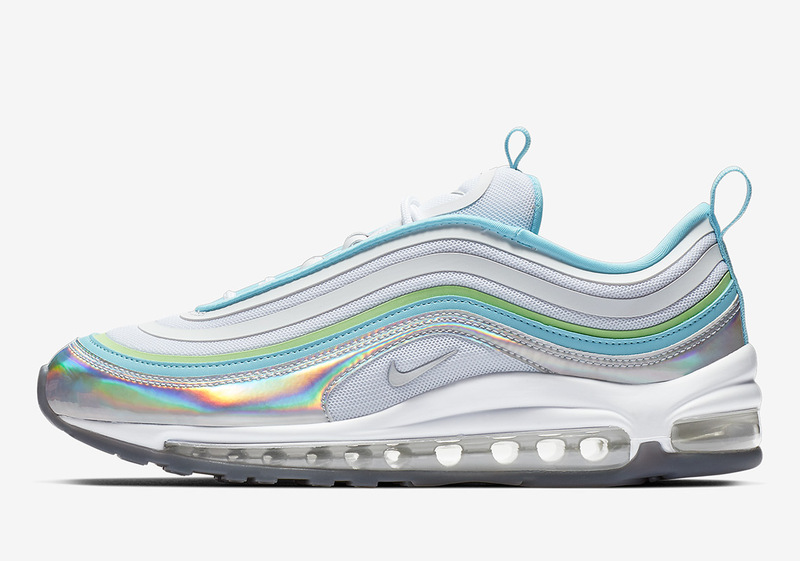 Joining that glistening embellishment is the pairing of two soft hues that will have potential consumers yearning for the warmer months ahead as most of the nation continues feeling the effects of a Polar Vortex. 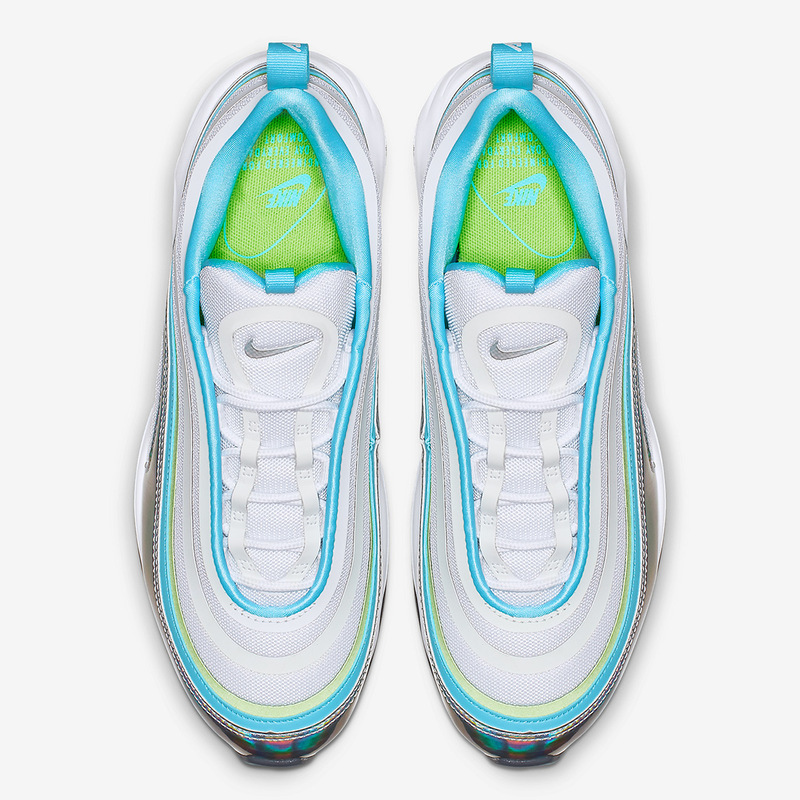 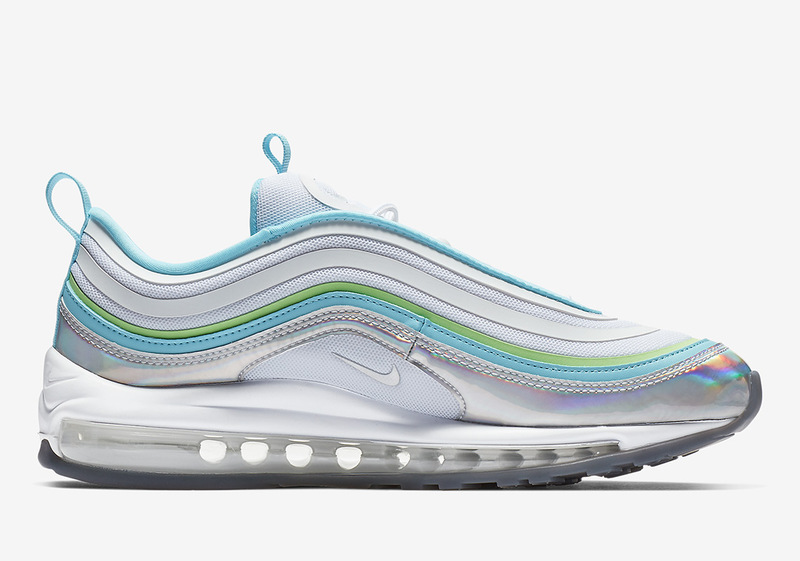 Green and blue work in conjunction on this 97’s racing stripes, inner lining, tongue, and heel tab, while the presence of a stark white provides contrast in an effort to neutralize its bright aesthetic. 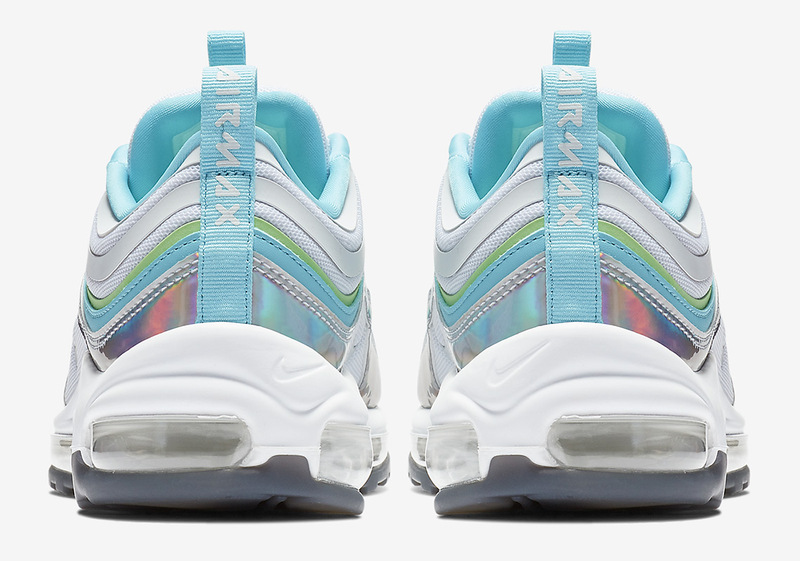 With official images of this new AM97 available below, you can expect pairs to begin arriving at retailers as well as on Nike.com in the coming weeks.